Amidst the indescribable stress that is writing up my PhD, there is a massive silver lining. 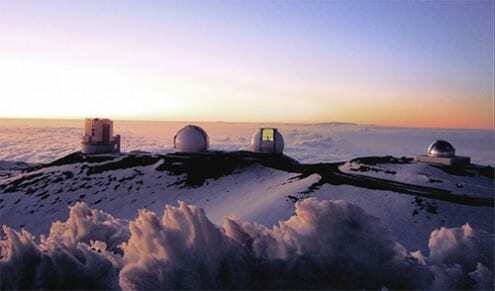 I’m currently writing this from 2,800m (that’s about 9,200 feet), half way up the Mauna Kea volcano in Hawaii. I say volcano, it’s not actually erupted for several thousand years and (the reason that I’m here) it has billions of pounds worth of massive telescopes on top of it. During the second year of my PhD, my supervisors and I, whilst looking at some data everyone had assumed was assumed was empty, discovered the first molecule containing a noble gas in it in space. Those of you who know anything about Chemistry will know this is really weird. 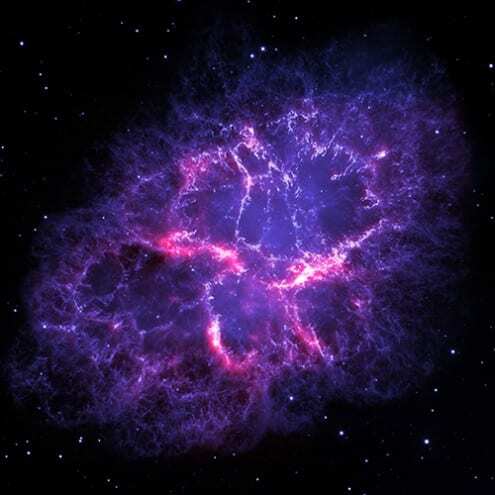 Noble gasses are so named because they’re noble: they don’t mix with the other elements. However, in the remnants of a star that exploded around 1000 years ago, the conditions for it to actually do so happened. This is a massive deal and needs following up quickly – which as well as taking over a substantial chunk of my time over the past year has now brought me to Hawaii. 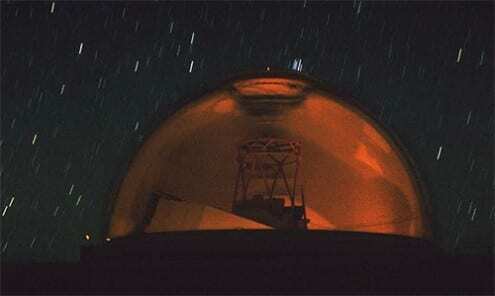 Last night was my first trip up to the summit, where I spend several hours at NASA’s Infrared Telescope Facility. It’s an odd experience being that high up. Everything needs to be a little bit slower. There are perpetual reminders that you are somewhere not normal. From the warning signs to the bottles of oxygen placed liberally around the control room. People don’t function so well that high up. Our trip was mostly to acclimatise to the 4,200m altitude and get used to the instruments we will be using. 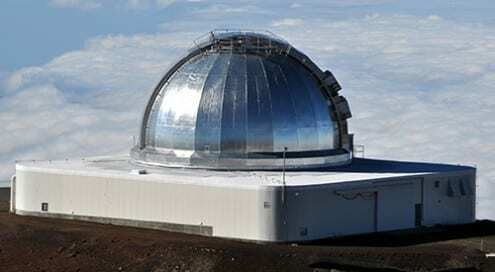 This is a good thing, because while Mauna Kea has 350 clear nights a year, last night was not one of them. 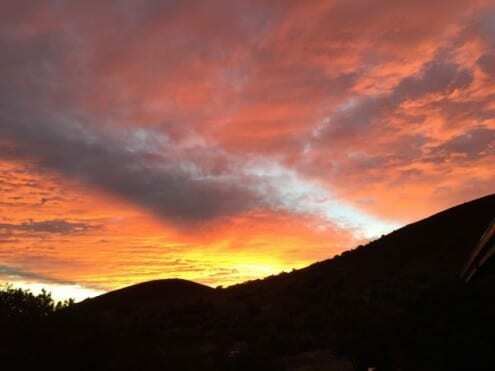 Last night there was a storm. The drive up to the summit was a pretty hairy experience with squalls of wind and rain. Thankfully it wasn’t me doing the driving. The only work that needed doing last night was calibration set up, for which we didn’t need to be able to actually see stars. Just as well, as there’s no way that we could have. This weather system should have passed by tomorrow so we’ll be free to do science. Tonight’s drive up was much clearer. As well as stars we could see the top of a thunder storm out over the pacific and the orange glow from a neighbouring volcano (a nice reminder that although it hasn’t erupted for several thousand years, Mauna Kea is not actually extinct). Clearer… until we got to the summit. 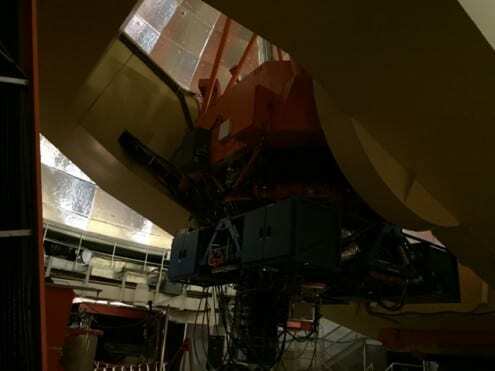 Having prepared and calibrated everything and chosen our first standard star to use as a check for everything, the Telescope Operator said “no”. Apparently it’s 100% humidity outside and it is lovely and misty. 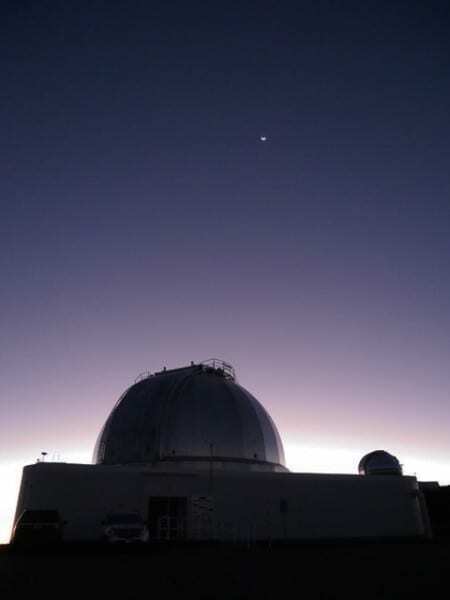 We had a slight tease at about midnight: we got as far as opening the telescope dome and finding our standard star. Alas, just as we started taking actual measurements the humidity shot back up and we had to close the dome. There’s a massive difference when we get up to the summit tonight! Stars! I can see stars, not particularly brightly, which is mostly to do with the lack of oxygen at this altitude meaning my eyes aren’t working as well as they should, but stars! If I can see stars, the telescope can see stars. After some changing of instruments and refilling of coolants (no mean feat at that altitude) we were finally ready to get started. We found and observed out standard star without much of an issue. Then we started looking for the little “knots” of gas we are observing in the Crab Nebula. This took us a while longer than planned, but we got there and all lined up on the instrument so we could get the data we need. Nothing. Tried again. Nothing. By this time it was also about 3am, the combination of the time and the lack of oxygen made this all rather difficult to cope with. We set the telescope to run for a two hour run to see if we could get anything at all. 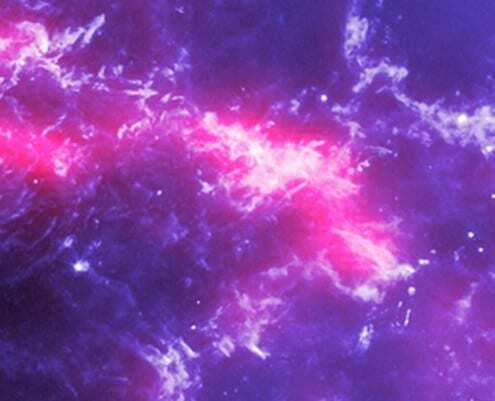 Other than some cosmic rays (really not what we’re looking for at all) we got… nothing. Frustration and worry about our calculations and whether what we were doing was right ensued. I paced. Lots. As the sun came up I went outside to get some fresh air (and see the telescopes, I’d only been up here in the dark until now), before heading down to the base camp for some fried food and sleep. I woke up this “morning” to an email telling me that there had been something wrong with the instrument. Good news as it means we’re probably going to get some good data this evening. Bad news because it was a really simple fix that had we known about it would have allowed us to get some good data last night too. Ah well, onwards and upwards. After another slog to get set up and find a new brighter standard star and things, we got observing. Final night lucky, at about half past three, we finally realised we’d found what we were looking for! Massive amounts of relief all round, we still had to finish the run and get as much data as we could before the sun came up, but we got some. It’ll take several weeks of processing the data followed by several more weeks of analysis before we know exactly what we have. That can wait until after I’ve finished writing my thesis. December’s Sky at Night was practically a UCL full house. As well as Maggie Aderin-Pocock (UCL Physics & Astronomy) presenting, the programme featured UCL astronomers Serena Viti and Steve Fossey, UCL chemists Andrea Sella and Stephen Price, and was filmed at UCL’s observatory. Well worth a watch – viewers in the UK can watch the programme again on BBC iPlayer until 14 January 2015 by clicking above. The show will also be repeated on BBC Four at the following times: 7.30pm on 18 December, and 2am on 19 December. The European Space Agency’s Rosetta mission, coming to its climax only now, a decade after launch, will have a number of scientific firsts: the first probe to follow a comet around the Sun while it orbits, the first to orbit a cometary nucleus, and the first to deploy a lander on the comet’s surface. UCL has made a major contribution to the scientific programme the spacecraft, thanks to its long-standing expertise in plasma physics. Much of this expertise was gained in a previous space mission. In 1986, the Giotto probe flew by Comet Halley, giving the first ever close-up view of a comet’s nucleus. 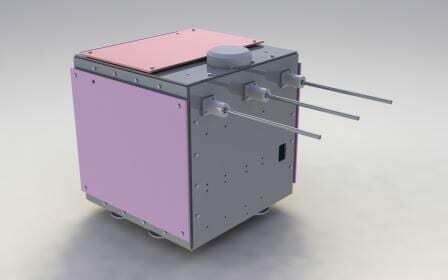 UCL built the probe’s Fast Ion Sensor and led the Johnstone Plasma Analyser team. 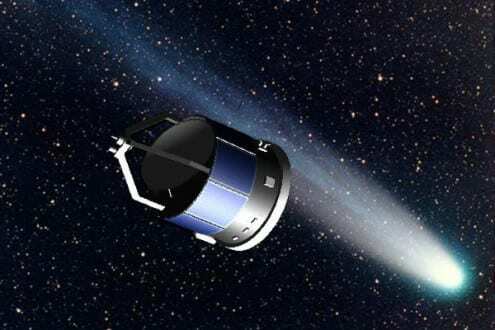 Thanks to this detector, scientists were able to study the interaction between the comet and the solar wind as the comet ploughed through it, including the enormous bow-shock in front of the comet that extended for around a million kilometres, and the processes by which cometary ions are ‘picked up’ by the solar wind. Rosetta should give us a lot more than this. Two decades of technological progress mean sharper photos and more sensitive instruments. 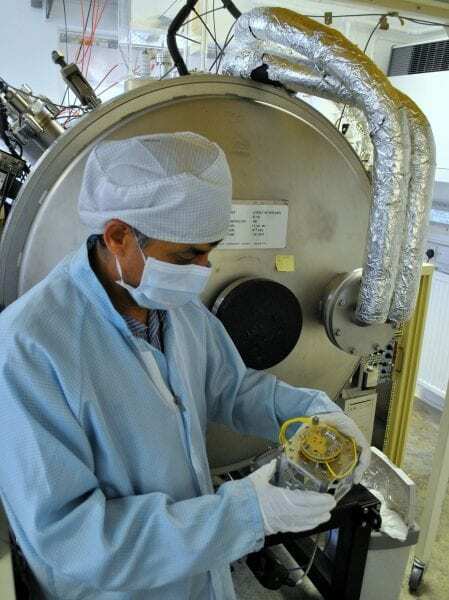 But the major improvement is in how long the probe will be able to study the comet for, as well as its close-up study of the comet’s ionosphere. Giotto made only a relatively short flyby of Halley, in large part because the comet’s orbit is highly inclined and moves in the opposite direction to Earth’s, and it only passes through the plane of the Solar System on two brief occasions every 76 years. Comet Churyumov-Gerasimenko, Rosetta’s target, is in an orbit that is easier to rendezvous with, which means – with some admittedly difficult and time-consuming orbital mechanics – Rosetta can be brought into orbit around it. This, in turn, means the changes in the comet, including the growth of its coma, and plasma (gas) and dust tails, can be charted in detail as it proceeds around the Sun. UCL scientists at the Mullard Space Science Laboratory are particularly closely involved in the Rosetta Plasma Collaboration, a scientific group which will study the electrical properties of the comet as it interacts with the Solar wind. This is a direct continuation of the work done with Giotto nearly three decades ago. The wait won’t be long now – Rosetta is less than 30,000km from its goal (less than the distance between Earth and geostationary communications satellites), and will begin manoeuvring into orbit in early August. Early data will come sooner, with the first detection of the comet’s plasma expected perhaps as early as this week. Rosetta is one of a number of missions being discussed at the Alfvén Conference this week at UCL. Named after Hannes Alfvén, a Swedish plasma physicist and Nobel laureate, the conference is bringing together experts from around the world in the field of Solar System plasma interactions, such as those Rosetta will study. As part of the conference, Matt Taylor, the scientific leader of the Rosetta project will be giving a public lecture tomorrow (Tuesday 8 July) at 6pm. He will outline the probe’s amazing ten year journey, outline Rosetta’s scientific goals and explain why comets are such an important window into the distant past of our Solar System. The lecture is free and open to all, but please reserve your seat as spaces are limited.